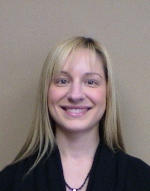 Christine Lejarza graduated from Queen’s University in 2007 with a Master of Science degree in Physical Therapy. Prior to this, she obtained a Bachelor of Science degree in Kinesiology in 2004 from York University. She has post-graduate training in manual therapy, therapeutic taping, acupuncture and the McKenzie approach to spinal rehabilitation. She has a keen interest in sports medicine and continues to further her education in all areas of musculoskeletal rehabilitation. She is fluent in English, Portuguese and basic Spanish. In her spare time, Christine remains active by participating in activities such as mountain biking, rock climbing, working out and latin dancing. She enjoys motivating others to maintain an active lifestyle through physical activity.